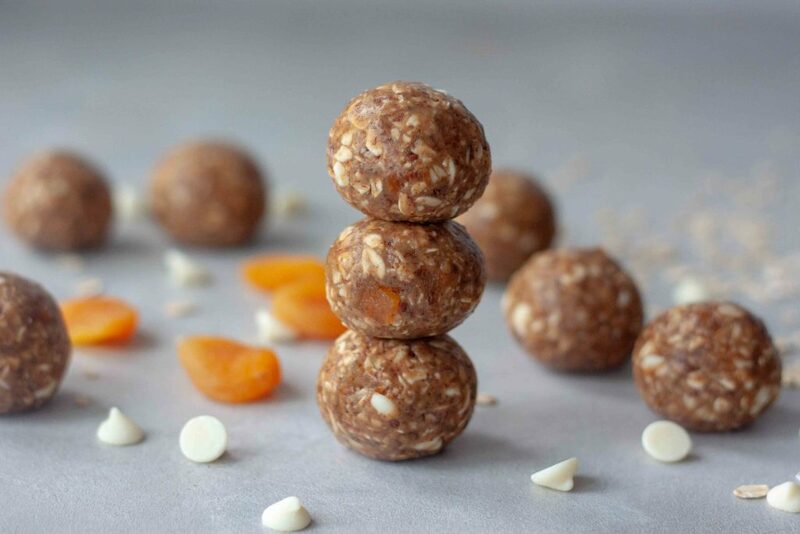 Don’t let the name fool you these White Chocolate Apricot Oatmeal Lactation Bites are energy bites anyone can enjoy! I went with the word lactation instead of energy as that was my focus when creating this recipe. However not knowing how things will go and my plan not my only focus. If you missed the news Gavin, aka Baby G was born last week! He made his grand entrance on St. Patrick’s Day, just like I had said and hoped he would. Beyond blessed and in love with him I’ll share a little more next week hopefully when I have a little more time and we’re into our routine, have less visitors, and things aren’t so busy and crazy. 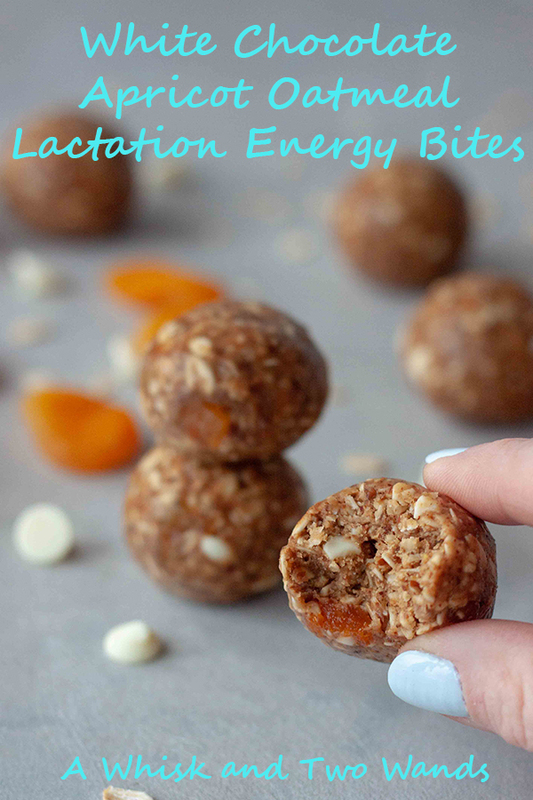 Every new mom needs energy and healthy snacks on hand so with that I came up with these White Chocolate Apricot Oatmeal Lactation Bites to keep stashed. I will start by saying I’m not going to go into to much detail as breastfeeding is a very sensitive subject for me. The girls were not breastfed and not for lack of trying with my first but a very traumatic and emotional experience so I didn’t even attempt with my second daughter. Both girls are healthy and I feel “fed is best” and every mom should do what is right for her. The guilt has worn off yet the emotions are still there. With previous breast cancer scares, having family history, being at high risk for breast cancer and getting screened already regularly since before I hit 30 I know that breastfeeding is one of the things I can do to lower my risk. So I’m hoping things go better and will give it my best shot this time around but have no expectations other than to do what is right for me and my baby. Not just every mom though… having healthy homemade bites stashed in the freezer have been a staple for me for years! My stash is pretty much non existent so I’ve been trying to build the stash back up with some favorites and some new ones like these. Oh and there is plenty of banana bread for me to live on the first few weeks. Haha! While the studies are on both ends of the spectrum on if they really do help with lactation or if it’s a wives tale they make a great base for any energy bite. They’re packed with healthy carbs, fiber, iron, and a rich source of phytochemicals. They are also heart healthy, helping to lower cholesterol and control blood sugar. High in protein and essential fatty acids! Amino acids in nuts are building blocks for serotonin which aids in lactation. The best nuts for improving milk production are almonds. Almonds are high in omega 3 which helps hormones product more milk. High in calcium, sesame seeds are one of the best seeds for increasing milk supply. Also a great source of protein and alternative to almond butter. Raw honey is rich in vitamins and minerals and my choice for sweetener in these bites, maple syrup or agave can also be used. Omega-3 essential fatty acids, “good” fats that have been shown to have heart-healthy effects. Lignans in flax seed have both plant estrogen and antioxidant qualities. Flax seed is packed with soluble and insoluble fiber. Like sesame seeds, flaxseed has phytoestrogens that can influence breast milk production. Flax seed also contains essential fatty acids. Brewer’s yeast is a healthy nutritional supplement that contains B vitamins, iron, protein, chromium, selenium, and other minerals. It can not only help produce more breast milk, but it may also give you more energy, have a positive effect on your mood and get rid of the baby blues! This one was one of the ingredients I found most interesting. During and post pregnancy, there are hormonal imbalance that takes place and dried apricots are said to have certain chemicals which are balance out the hormone levels in your body. They’re also high in calcium to help boost lactation. 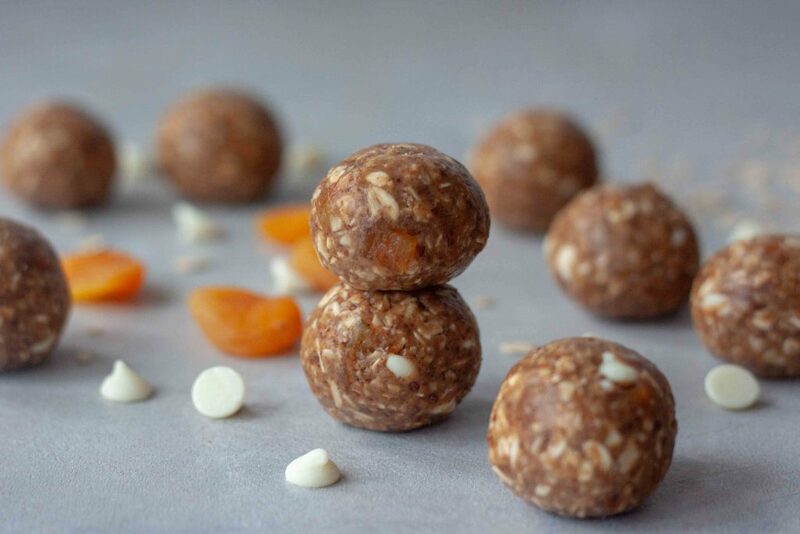 If you are just looking for energy bites you can also swap the brewer’s yeast for ground maca powder (I like only add 1 tablespoon) or omit the brewer’s yeast for simple and delicious snack bites. 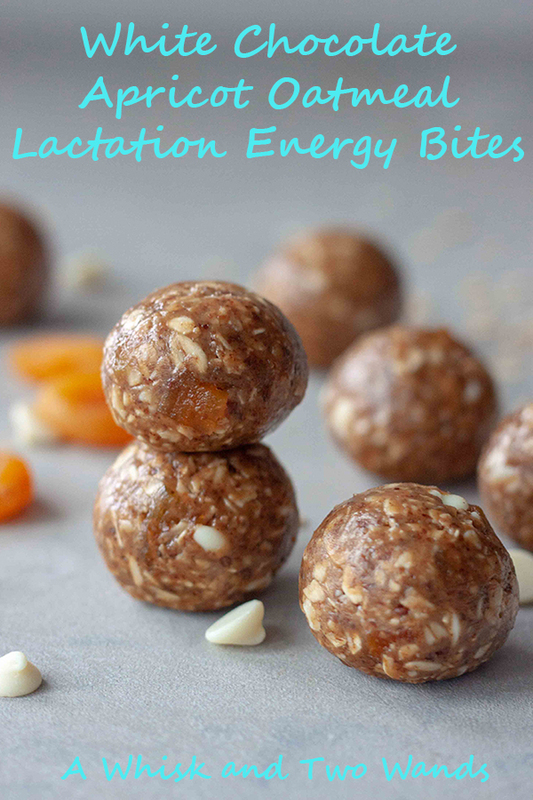 White Chocolate Apricot Oatmeal Lactation Energy Bites are healthy and delicious snack bites with lactation and energy boosting benefits! Gluten free and vegan friendly with options to make them family friendly. In a food processor pulse/grind oats to a medium or medium coarse texture. Pulse in flax seed and brewers yeast. If wanting to make them in a bowl because you are using a smaller (mini) food processor pulse in white chocolate chips to break up. In a separate bowl mix together almond butter (starting with 1/3 cup) and honey, stir in dried ingredients. Chop apricots with a knife into small pieces and stir in. Add in a little more almond butter, or splash of water if mixture is too dry. If wanting to make them in only a food processor add in almond butter and honey to the dry mixture and pulse until mixture comes together. Rough chop apricots and add apricots and white chocolate chips to the mixture and pulse to chop and mix. Add in a little more almond butter, or splash of water if mixture is too dry. Roll spoonfuls of mixture (I use a 1 1/2 TBSP ice cream scoop) into balls. Store in the refrigerator, or freezer for longer storage, until ready to eat. 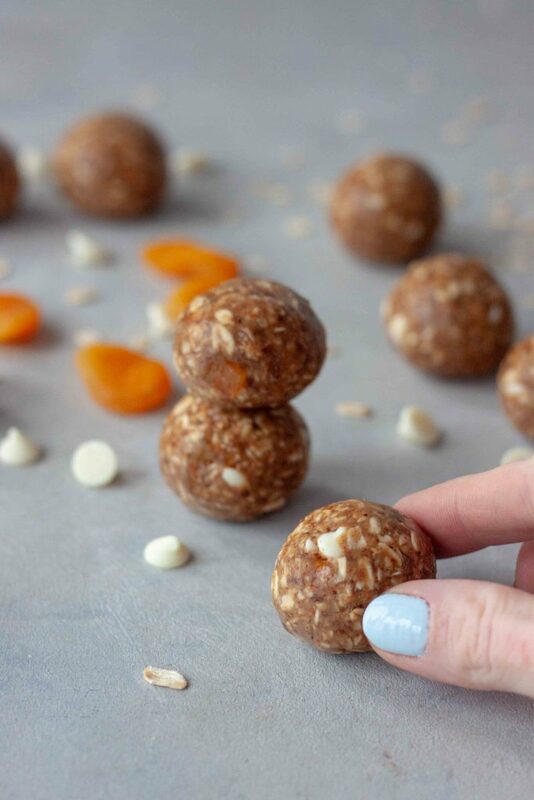 If you are just looking for energy bites you can also swap the brewer's yeast for ground maca powder (I like only add 1 tablespoon) or omit the brewer's yeast for simple and delicious snack bites that the whole family will love. Congratulations!!!! Also..these look great, for sure something even those not lactating can enjoy like you said! Thank you, yes I just leave out the brewers yeast to make them family friendly. Things are off to a really good start but there still aren’t enough hours in my day. Trying to make sure I don’t push it too hard though and enjoy all the moments, can’t get them back. I thought the white chocolate was not only a perfect pairing for apricots but a little lighter for spring. Congrats again on Baby G! I was SO happy for you that he was born on St Patrick’s Day! 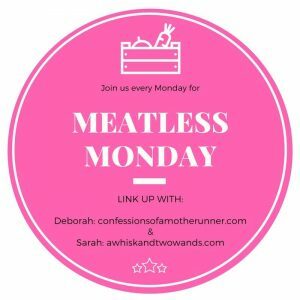 Esther recently posted…Launch Week Recap! Thank you! I kept saying he would be and people didn’t believe me. Honestly I thought it was a long shot too. At my appt 2 days before I had to talk them into pushing out the ultrasound and next steps until Monday (day after he was born) and happy things worked out like they did. So crazy too I still have to get the story written. You can leave out the brewers yeast and they are great for kids!